Each of us is unique. And each one of us has been invited by God to participate in his kingdom work. Yet many times we hesitate to serve, uncertain of our gifts and of God's purpose for our life. In these studies we learn how to recognise our own spiritual gifts as well as those of others, and how to practically use them to glorify God in our relationships, our work and the world. Eight studies for individuals and small groups. The best-selling Lifebuilders series have helped millions of people dig deeper into the Bible, individually and in small groups. There are questions for stimulating group discussions, ideas for meeting God in personal reflection, and a now or later section in the revised format. Session 7 Exodus part of chapters 31,35 and 36. The last Session 8 examines Acts 2. 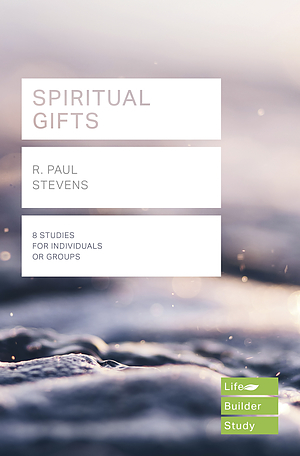 LifeBuilder: Spiritual Gifts by R Paul Stevens was published by IVP UK in July 2018 and is our 2461st best seller. The ISBN for LifeBuilder: Spiritual Gifts is 9781783598014. Be the first to review LifeBuilder: Spiritual Gifts! Got a question? No problem! Just click here to ask us about LifeBuilder: Spiritual Gifts.